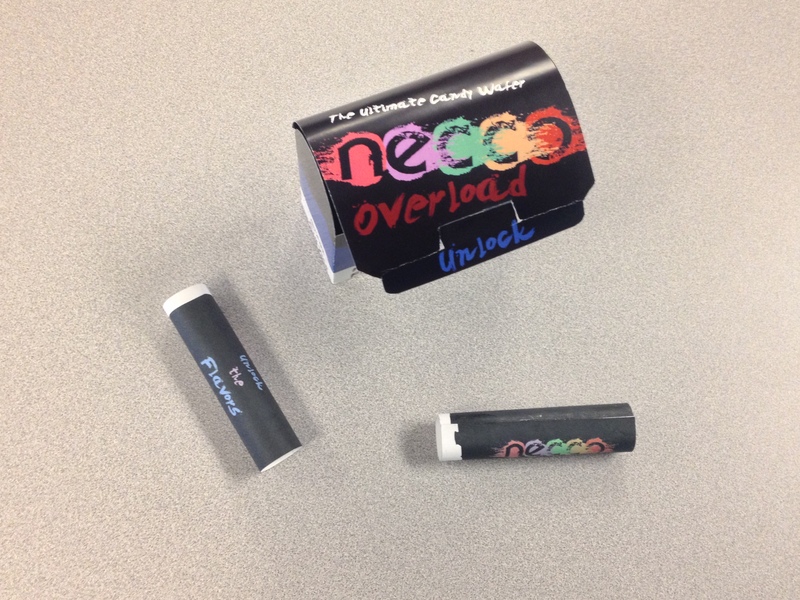 NECCO Fans! 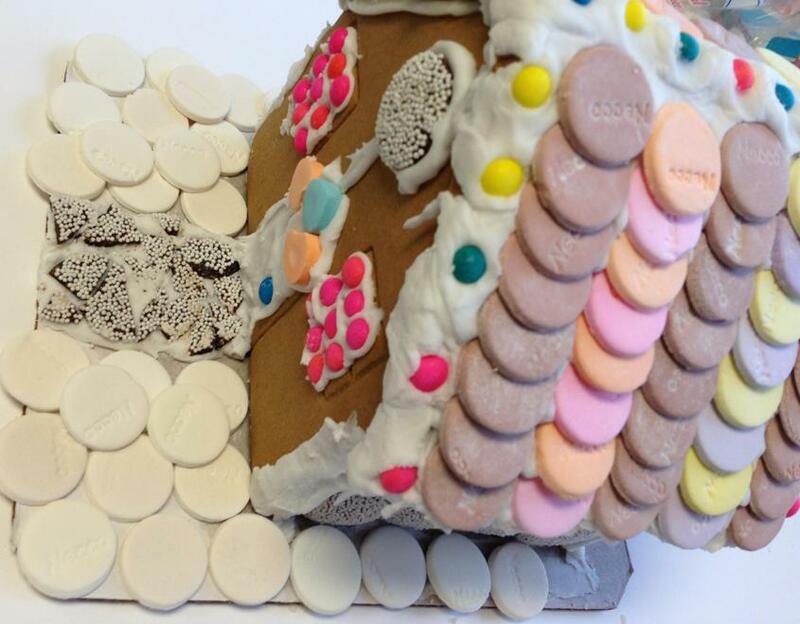 | Welcome to the world of NECCO! 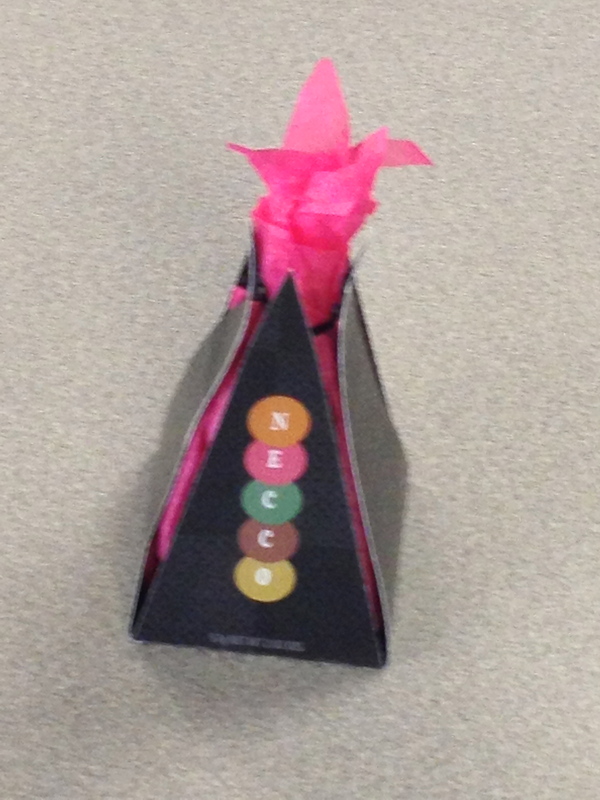 Students redesign NECCO Wafers packaging for class project! 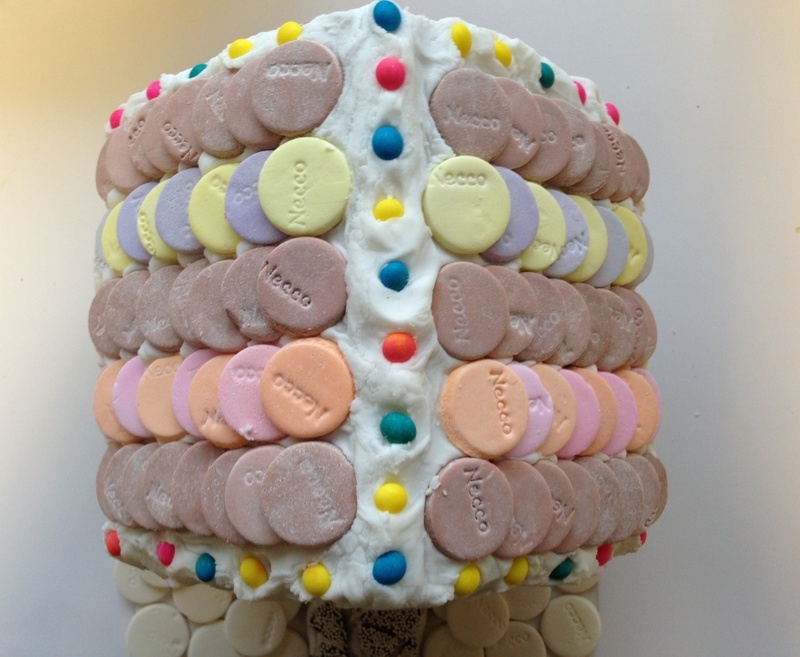 NECCO has proudly been producing delicious sweets for our fans since 1847, and we love to hear back from them on their ideas and entertaining suggestions for all of our candies. 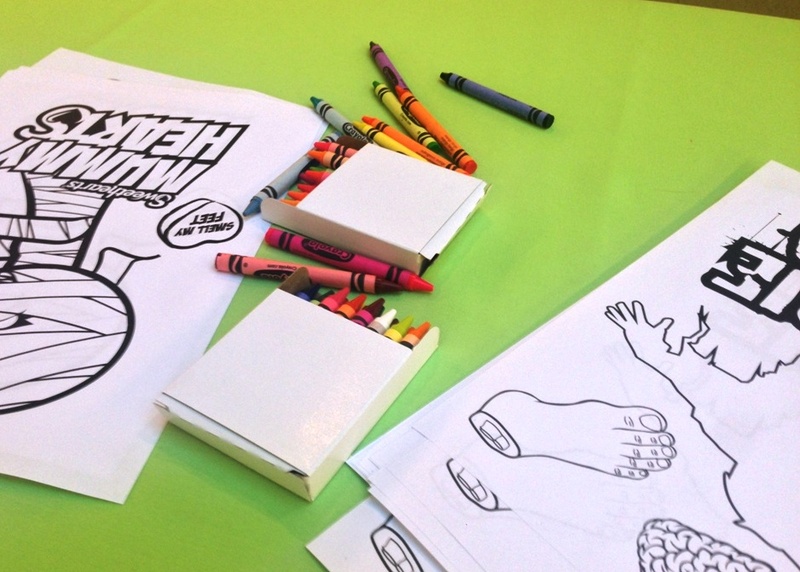 It’s always exciting to receive input from creative minds who have fun visions for us. 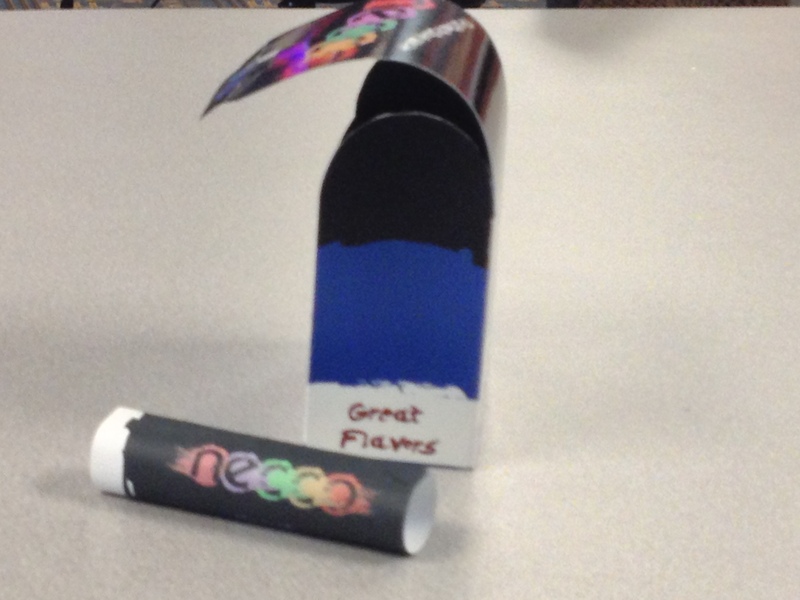 Recently, a design class from the International Academy of Design & Technology in Michigan was tasked by their professor to redesign the iconic packaging of our classic NECCO Wafers for their class project. 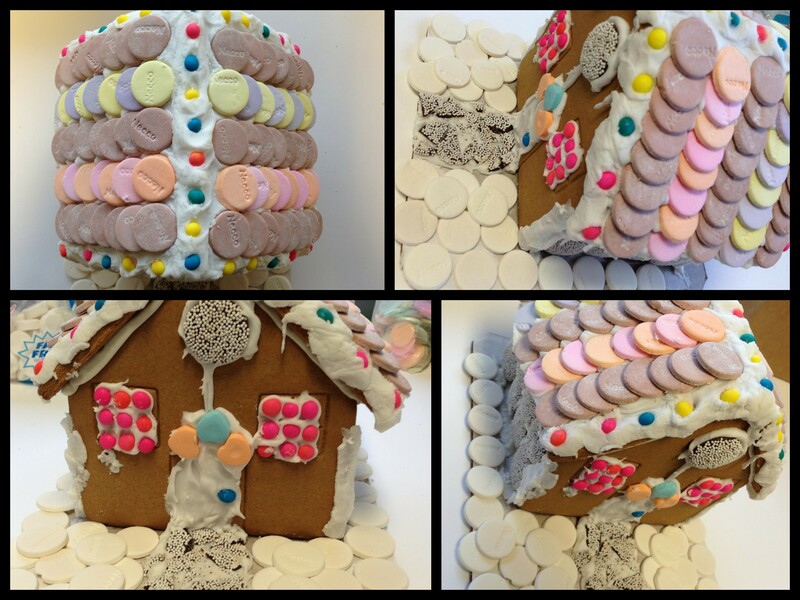 The students embraced this project and put their own wonderfully artistic spin on revamping a classic. 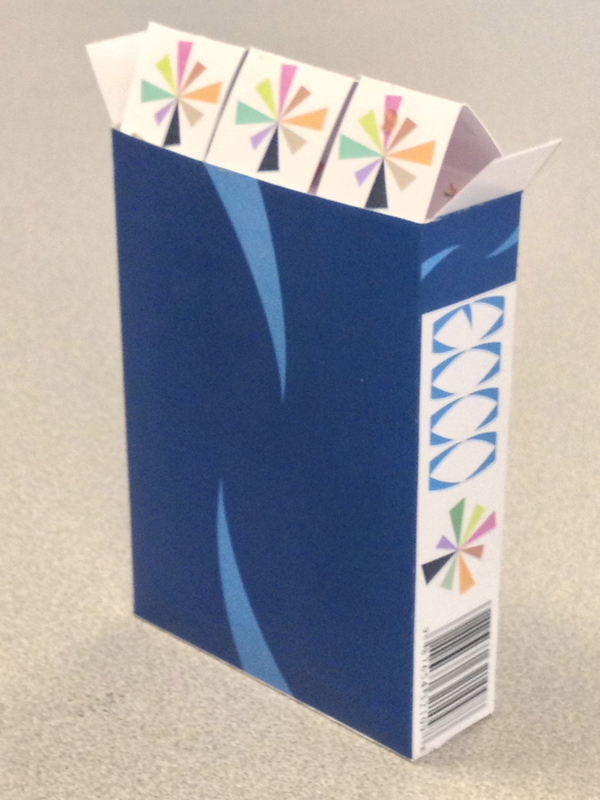 Now, don’t you worry; we won’t be changing the wrapper that you all love to tear into so dearly!! 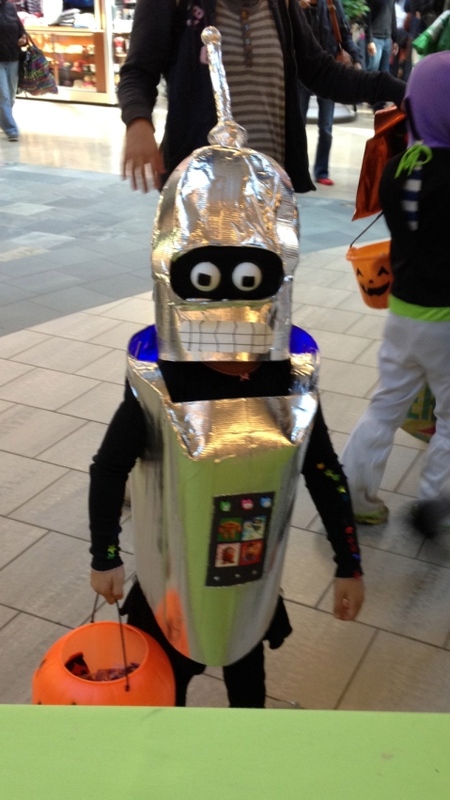 But, it’s refreshing to see what these young fans have imagined up. 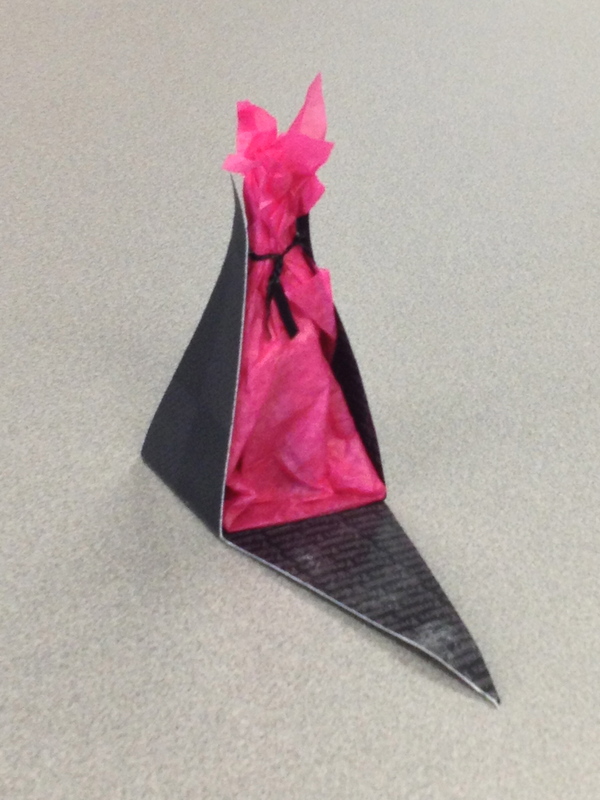 The exciting colors and packaging styles are boldly creative and a twist from traditional styles we’ve seen! 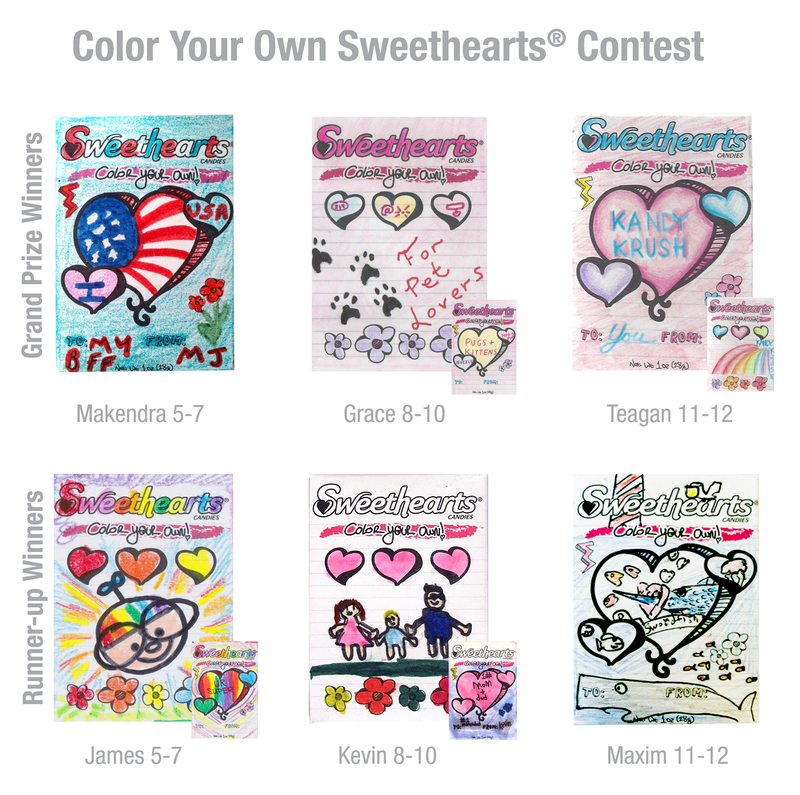 Categories: NECCO Fans! 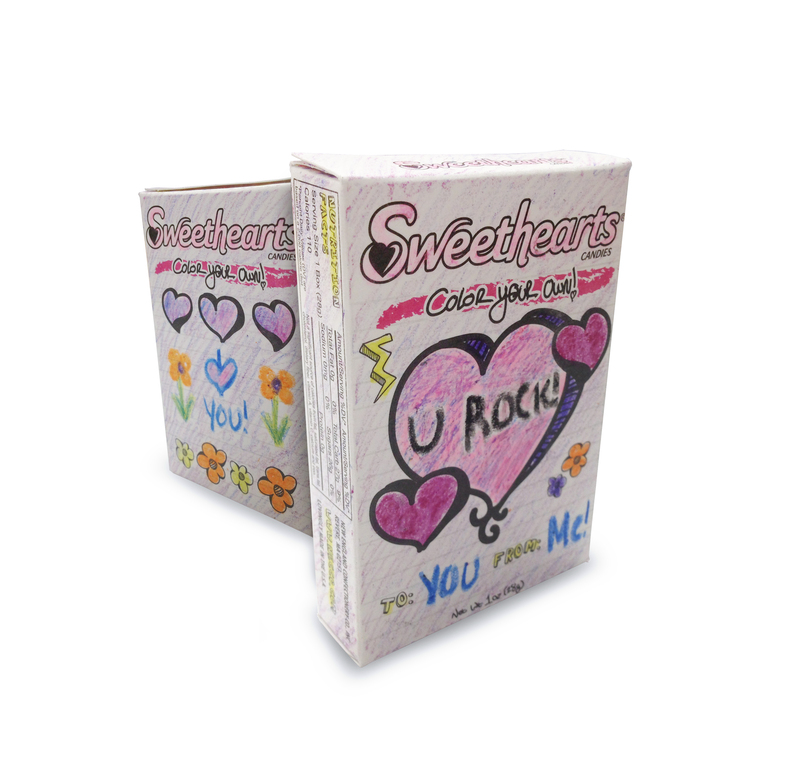 | Tags: art, arts, design, design & technology, illustration, NECCO, necco wafers, new england confectionery company, packaging, packaging art, packaging design | Permalink. 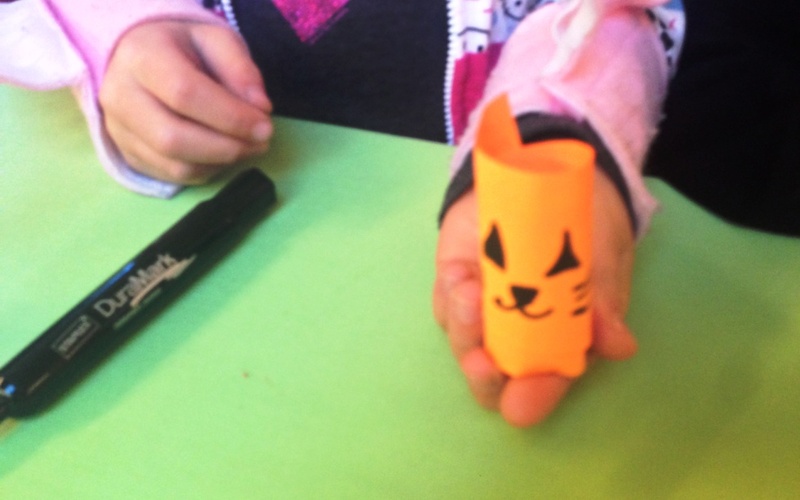 Tales from the NECCO Candy Store! 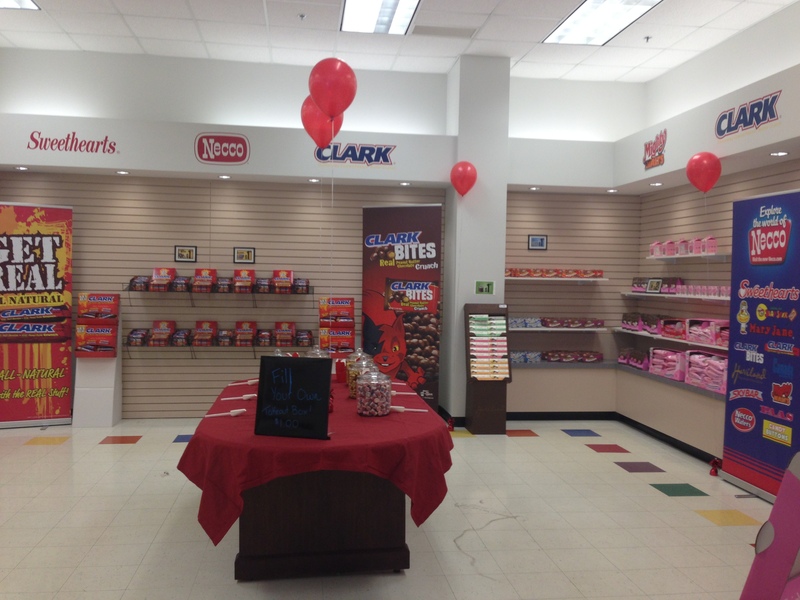 In celebration of Valentine’s Day, from Monday 2/11 until Valentine’s Day on Thursday, we opened our candy store at our World Headquarters in Revere, MA! 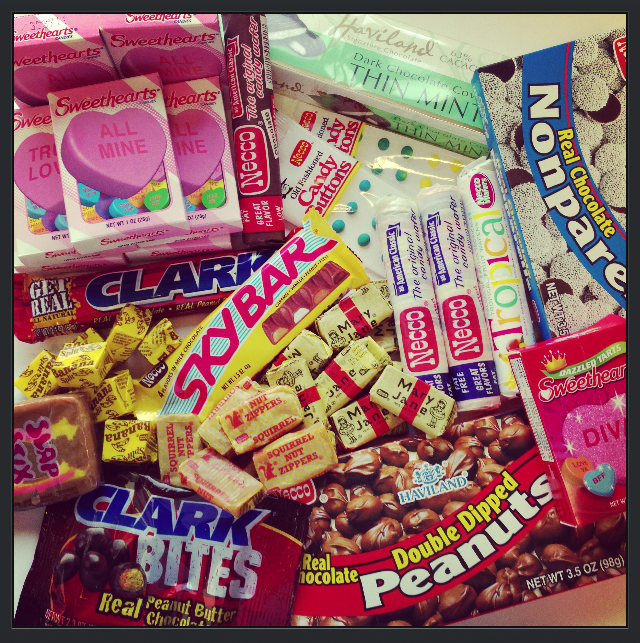 Guests who visited were able to pick from a great selection of Valentine’s Day favorites, such as the legendary Sweethearts, and also all of our favorite classic everyday sweets such as Clark Bars, Mary Janes and Sky Bars! 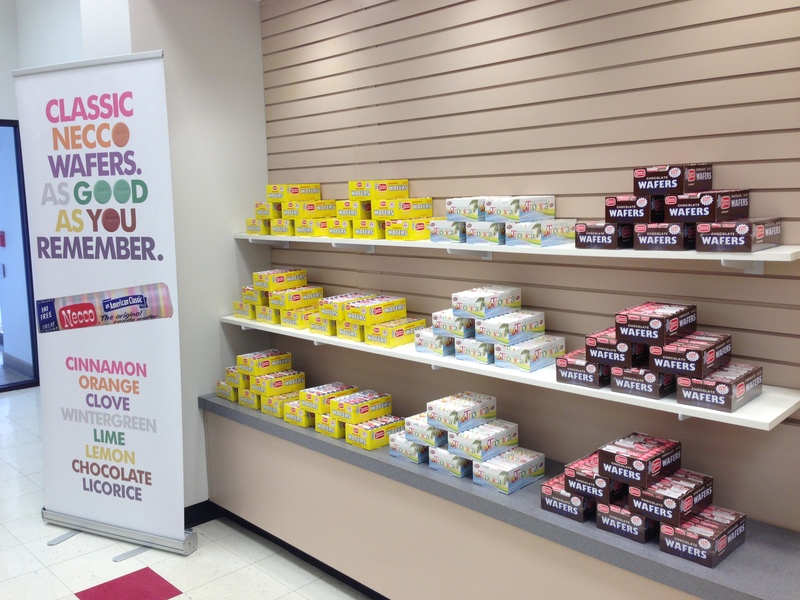 There was even a NECCO Wafer Wall! 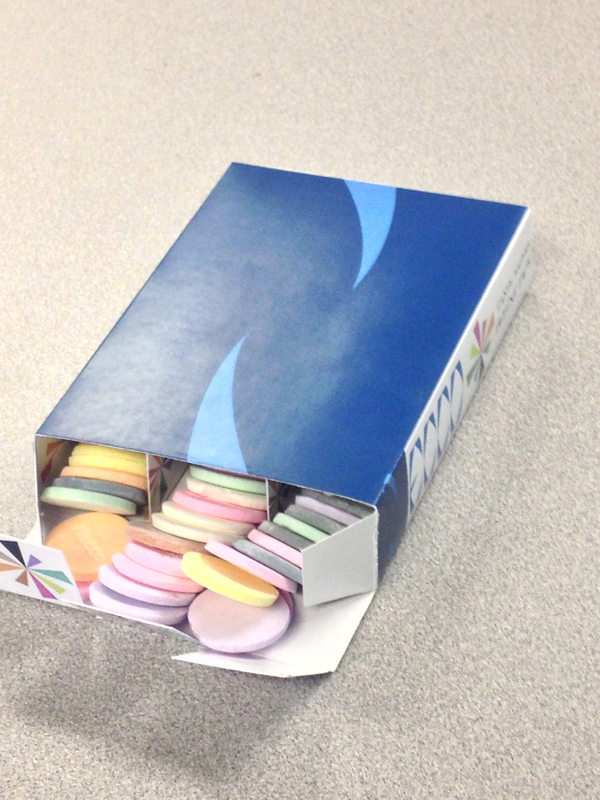 All three kinds of NECCO Wafers were available, Assorted, Chocolate and our newest twist on the classic: Tropical NECCO Wafers, which has new fruity flavors: Strawberry, Mango, Banana, Coconut, Passion Fruit and Lime! 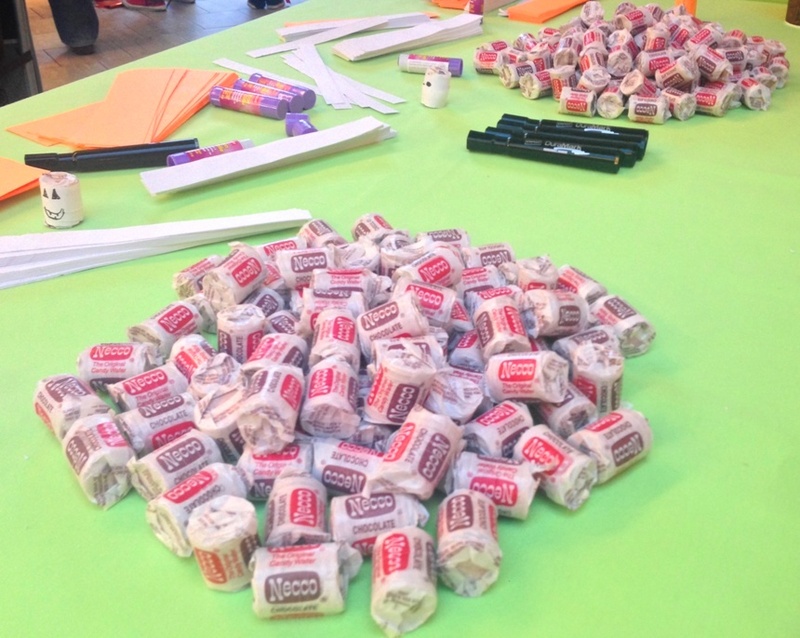 Guests also had the opportunity to create their own mix, choosing from mini items such as Squirrel Nut Zippers, Mint Juleps, Mary Janes, mini Slap Stix, Banana Splits and Jr. Rolls of NECCO Wafers! They could fill a takeout box to with their desired combo of these sweets. 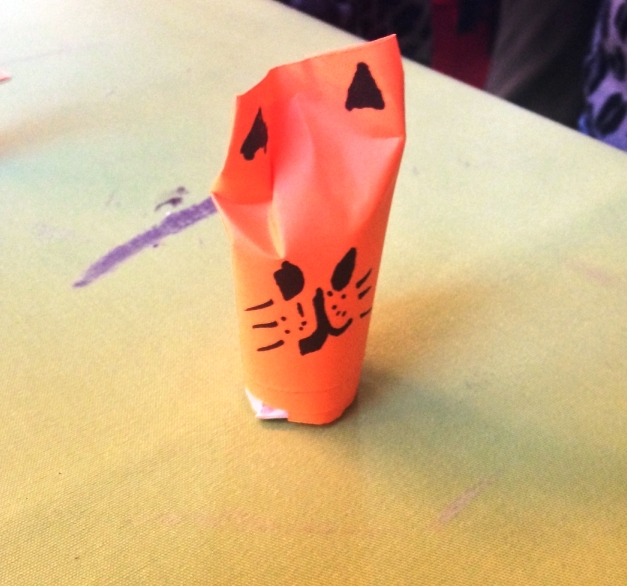 The store was filled with smiles and laughs from customers, especially the children, as they stuffed their boxes to the brim (some had it overflowing!) 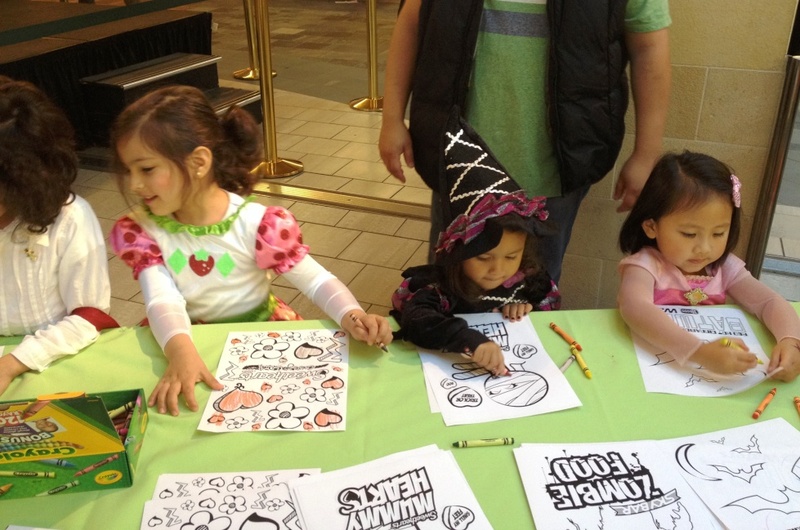 and bounced from corner to corner in the store gushing over the chance to buy some candy! We can not thank our awesome fans that came to the Candy Store enough! 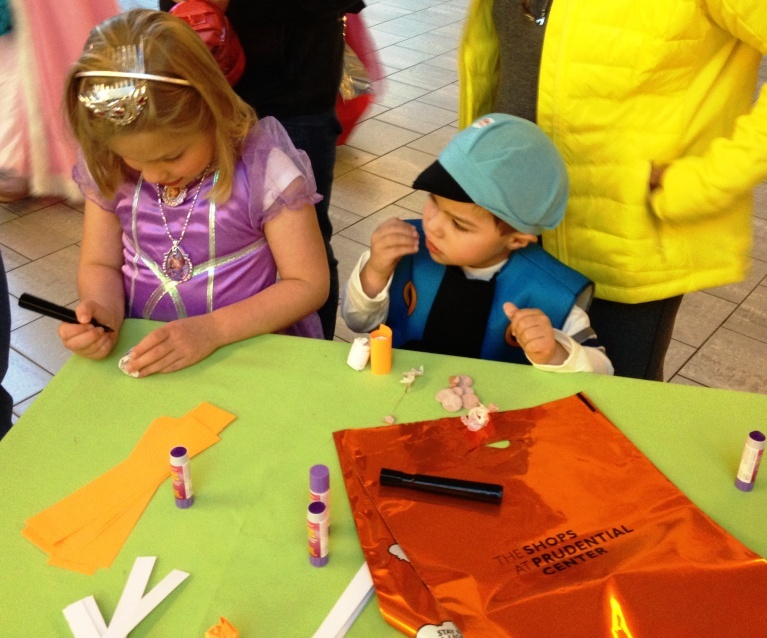 Everyone had an overwhelmingly positive attitude, sharing stories about their favorite NECCO memories, and all were excited to stock up on their favorite sweets. 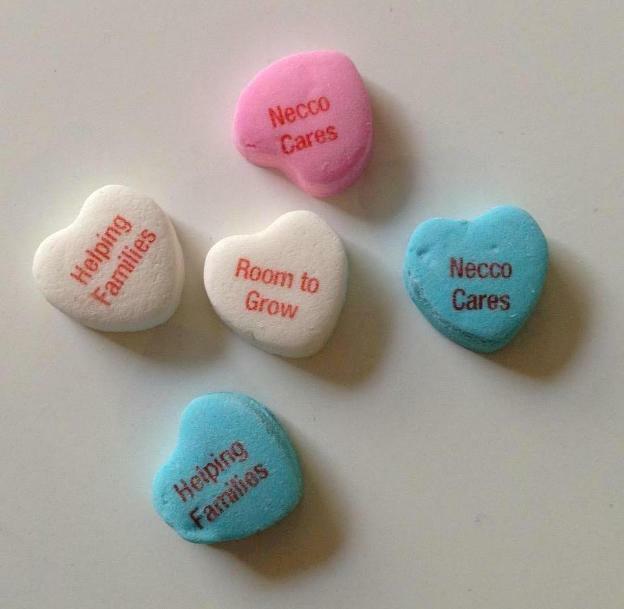 The NECCO love was abundant, and it made us happy to be able to serve our supportive community! In fact, many guests left with full shopping bags whose contents looked like this! We had a wonderful week interacting with our loyal local supporters. In the end, though our week was shortened by the blizzard that was Winter Storm Nemo, we still managed to raise $1000 for Room to Grow!! Take a second to head to their website and find out more about this wonderful organization that is dedicated to enriching the lives of those born into poverty up until three years of age. 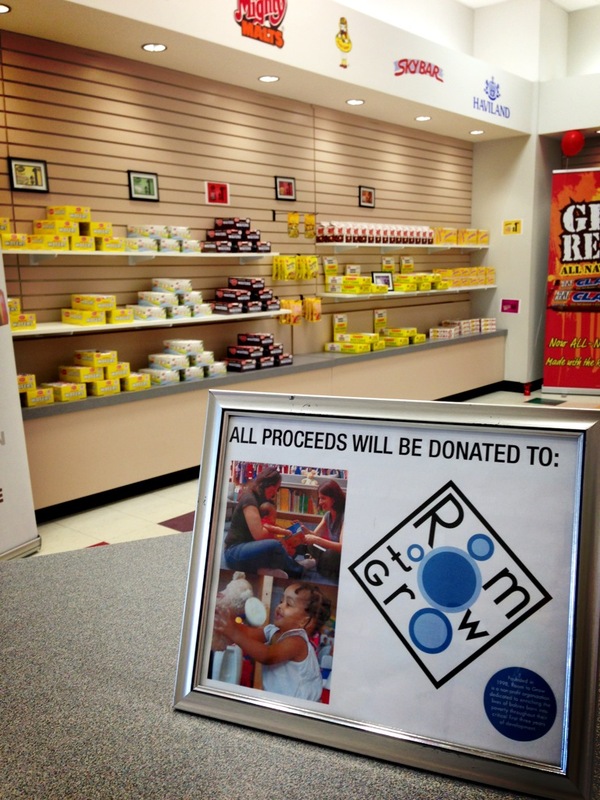 The following week we stopped by Room to Grow and dropped off a sweet surprise along with our donation! 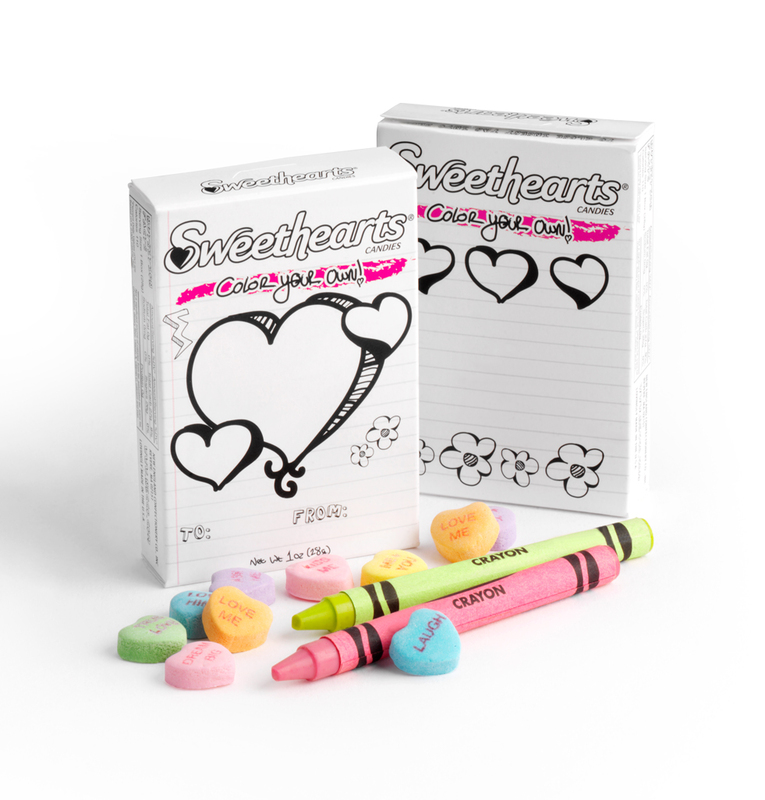 We’re so excited to be able to assist a group tat is making such a positive impact on our community that we couldn’t resist personalizing some Sweethearts from our new custom candy venture on MyNecco.com! Categories: NECCO Fans!, Valentine's Day | Tags: Boston, candy, candy buttons, charity, chocolate, Clark Bar, conversation hearts, family, food, holidays, love, mint juleps, NECCO, necco wafers, new england confectionery company, nonpareils, nostalgia, Room to Grow, shopping, Sky Bar, Slap Stix, Squirrel Nut Zippers, Sweethearts, Thin Mints, Tropical NECCO Wafers, Valentine's Day, Zombie Food | Permalink.